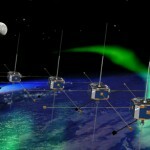 UCLA scientists are engaged in several ongoing space missions, notably the Diviner infrared radiometer aboard NASA’s Lunar Reconnaissance Orbiter (Professor David Paige), the Dawn mission to large asteroids Ceres and Vesta (Professor Christopher Russell) and the THEMIS/ARTEMIS mission to study magnetospheric interactions with the Earth (Professor Vassilis Angelopoulos). Department scientists are also closely involved with the Juno mission to Jupiter, the Cassini mission presently orbiting Saturn, the MESSENGER spacecraft at Mercury, and samples of the solar wind returned to Earth by the GENESIS spacecraft. ARTEMIS & THEMIS: ARTEMIS stands for “Acceleration, Reconnection, Turbulence and Electrodynamics of the Moon’s Interaction with the Sun”. 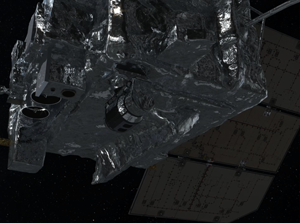 The ARTEMIS mission uses two of the five in-orbit spacecraft from another NASA Heliophysics constellation of satellites (THEMIS) that were launched in 2007 and successfully completed their mission earlier in 2010. The ARTEMIS mission allowed NASA to repurpose two in-orbit spacecraft to extend their useful science mission, saving tens of millions of taxpayer dollars instead of building and launching new spacecraft. Read more here. 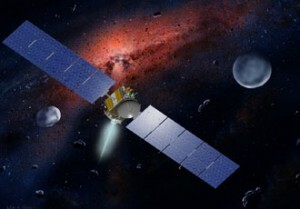 DAWN: During its nearly decade-long mission, the Dawn mission will study the asteroid Vesta and dwarf planet Ceres, celestial bodies believed to have accreted early in the history of the solar system. The mission will characterize the early solar system and the processes that dominated its formation. Read more here. Diviner: The Diviner Lunar Radiometer is one of seven instruments aboard NASA’s Lunar Reconnaissance Orbiter spacecraft, which was launched on June 18, 2009. It is the first instrument to create detailed, global maps of surface temperature over the lunar day and year. Diviner’s measurements are also used to map compositional variations, derive subsurface temperatures, assess the stability of potential polar ice deposits, and infer landing hazards such as roughness and rock abundance. Read more here. Juno: Juno is a NASA New Frontiers mission to the planet Jupiter, which launched from Cape Canaveral Air Force Station on August 5, 2011. The spacecraft is to be placed in a polar orbit to study the planet’s composition, gravity field, magnetic field, and polar magnetosphere. 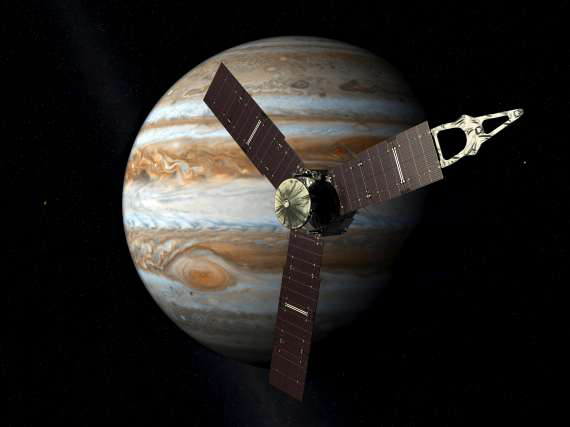 Juno will also search for clues about how Jupiter formed, including whether the planet has a rocky core, the amount of water present within the deep atmosphere, and how the planet’s mass is distributed. 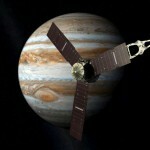 It will also study Jupiter’s deep winds, which can reach speeds of 600 kilometers per hour (370 mph). 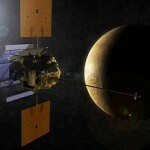 MESSENGER: MESSENGER stands for MErcury Surface, Space ENvironment, GEochemistry, and Ranging. 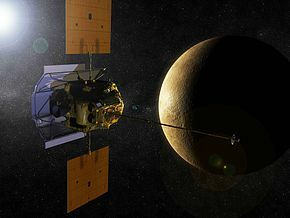 To become the first spacecraft to orbit Mercury, MESSENGER followed a path through the inner solar system, including one flyby of Earth, two flybys of Venus, and three flybys of Mercury. This impressive journey is returning the first new spacecraft data from Mercury since the Mariner 10 mission over 30 years ago. Read more here. 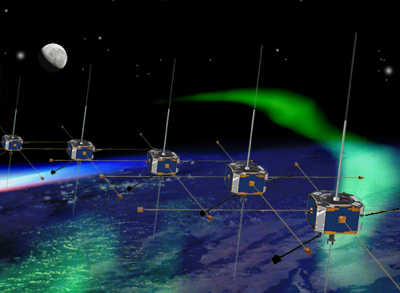 Genesis: The purpose of the Genesis mission is to observe the solar wind, entrap its particles and return them to Earth. After launch, the spacecraft traveled to a point about 1.5 million kilometers (just under 1 million miles) from Earth where the gravities of Earth and the Sun are balanced: the Lagrange 1 point, or “L1.” At this location Genesis was well outside of Earth’s atmosphere and magnetic environment, allowing it to collect a pristine sample of the solar wind. Genesis’ overall flight path resembles a series of loops: first curving towards the Sun and away from Earth to the L1 point, circling five times around it, then falling back for a brief loop around the opposite Lagrange point, called “L2,” in order to position the spacecraft for a daylight return to Earth.